That's the day this blog went live. At the time, I had no web presence, no writing credits. Though I didn't know it yet, I was still a year out from the completion of my first novel (nearly seven years before a book of mine would see the light of day), and thirteen months from my first short story acceptance. I thought back then the novel would take a few more weeks at most to finish. And, having that very weekend finished writing my first short story ("The Toll Collectors," which didn't see the light of day until '09), I assumed my first publishing credit was imminent. In short, I was an idiot. "What, you might ask, does it take to be a working writer? Stick around -- maybe we'll both find out." Since then, this space has served as record for every triumph, every milestone, and even the occasional speedbump on my winding path to publication. (The speedbumps, for the record, have been far more frequent than this blog may suggest, but I'm not one to revel in my misfortunes. I've been lucky enough in life that doing so might well piss people off.) Short story credits. Query woes. Landing an agent. Winning awards. Losing awards. Shelving that first novel after three years' worth of shopping. Writing a new novel. Shopping it. Selling it, and then two more. Reviews. Releases. A book tour. The whole nine. My writing life, writ large for all to see. Well, most of it, at least. See, the difficulty with blogging about one's writing life is, the farther one progresses, the more complicated it becomes to decide what can, or should, be shared. Back in '05, the only person affected by my blogging was me. Now what I say can affect contracts, publishers, editors, booksellers, agents, and what have you. That can, and should, and does, give a blogger pause. Which is to say, I've gone back and forth as to whether I should write this post. But ultimately, it proved too big a milestone for me to let pass unremarked upon. A few weeks back, my longtime agent and I parted ways. The specific details as to why are unimportant. Suffice to say that it was my decision, and that said decision was borne of differences in goals and strategy -- and of the direction my muse is taking me -- rather than any animosity or ill-will. The split was amicable, and I continue to hold both she and the agency in the highest of regard. The fact that I'm not including names here is simply a function of the search-engine world in which we live; a good agent ought not have her internet presence gunked up by what might be perceived by someone unacquainted with the business as a knock against her, particularly when it's not intended as such. Stick around -- maybe we'll both find out. Today at Criminal Minds, I tackle the question, "Is there anything off-limits to you in your own writing?" Also, Marion at Fantasy Literature takes a look at THE WRONG GOODBYE, and declares it "Another fine example of supernatural-noir." Thanks, Marion! "I took a chance on DEAD LETTERS: STORIES OF MURDER AND MAYHEM. I'd never read anything by Chris F. Holm but from the description I thought this sounded like what I was in the mood for. 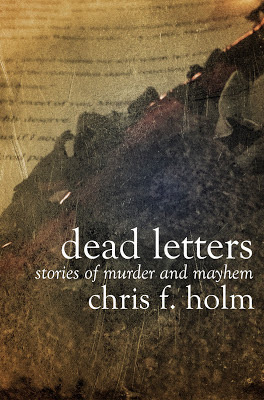 I was right... DEAD LETTERS is a great collection of stories." "I know it’s early to say this, but so far this has been my favorite book this year. Where most would say that a book is so great they didn’t sleep until they finished it, I found myself reading more slowly, spreading it through a week or so, just to have more time to get lost within the setting and with the characters. As much as the suspense was killing me, I just didn’t want it to end." Thanks to Remy and Kent both! 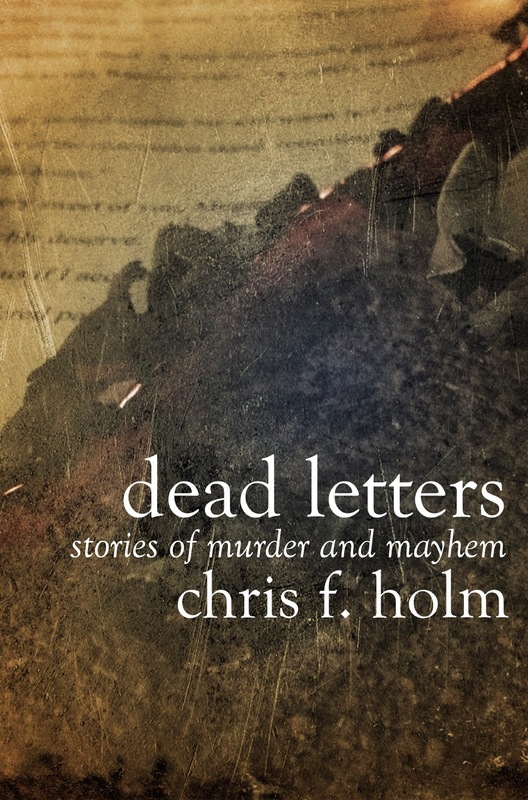 DEAD LETTERS gets its first review! "As with the rest of his work, this author is quite adept at blending the humorous with the horrific, and nearly everything in between... I’ve had a hard time picking a favorite, or even one that I’d tell you all you HAD TO READ RIGHT NOW, ZOMG! because really… I just want to recommend them all." Thanks, SJ, for the kind words! For those who'd like to check out DEAD LETTERS, it's currently available for Kindle (and Kindle UK, not to mention everywhere else Amazon peddles their wares.) I hope to have it up in other formats in the weeks to come. Today, I'm over at the inimitable Jen Forbus' blog, partaking in her Five on Friday interview series. You can read it here. And if you haven't already, bookmark the site while you're at it; Jen's good people, and her coverage of the mystery world is nothing short of stellar. 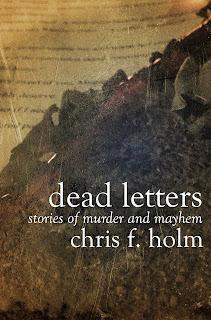 DEAD LETTERS is Now Live! As I type this, my new short story collection, DEAD LETTERS, is now officially available Kindle (and Kindle app) users worldwide. I hope y'all dig it. Enjoy. Be kind. And if you like it, feel free to say so: in a review, to a friend, with pie (I'm partial to pumpkin, but in matters of baked deliciousness, I am not picky), however you wish. And as ever, thanks for reading; y'all are aces. I couldn't (and wouldn't, and probably shouldn't) do it without you. Brandon at Every Read Thing posted his review of THE WRONG GOODBYE today. You can read it here. And in other news, today is Stephen Blackmoore's release day for his fantastic DEAD THINGS. If you dig my stuff, you owe it to yourself to check it out. I recently sat down (virtually) with Brandon of Every Read Thing to talk all things Collector-y, and today, that interview is live. You can check it out here. Thanks, Brandon, for having me!